The 1-inch Frothy 35-10E is a water-level independent foam effect nozzle. By mixing air with water, the pattern appears to be thick and extremely high volume. Compatible with the Pond Jet™ Fountain. 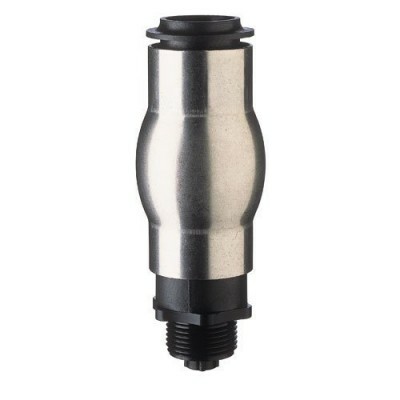 The nozzle pattern is not affected by fluctuations in water level. The optional telescopic extension is a 1" extension that allows you to adjust the height of the nozzle above the surface. It is adjustable from 11" to 20". Spray Height with Neptun 2600 pump: 4 ft.
Dimensions (Dia x L): 2.4 x 6.3 in. Sends a frothy column of water to a height that is dependent on water flow. With 1600 GPH flow the spray height is up to 3 feet high. 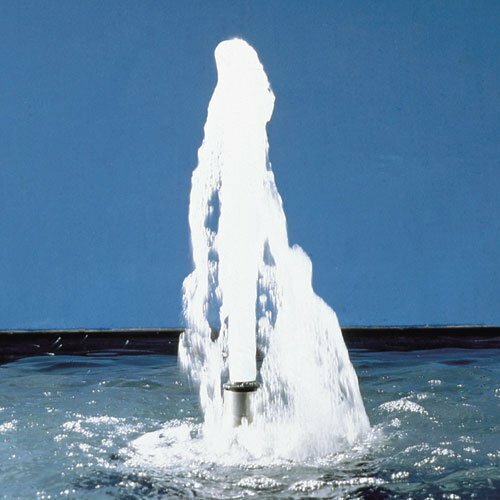 With 2600 GPH Flow the spray height is up to 4 feet high. An optional telescopic extension is a 1" extension that allows you to adjust the height of the nozzle above the surface. It is adjustable from 11" to 20". 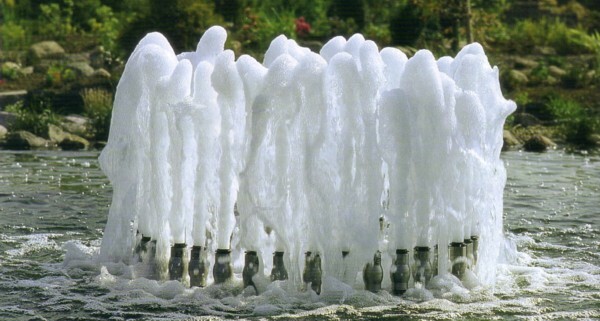 The lively bubbling water pattern generated by the foam effect nozzles is the optimal accessory for watercourse inlets, cascading pool installations, or fountain installations with a water reservoir at a lower level. By mixing air with water, the pattern appears to be extremely high volume. Nevertheless the nozzles actually have a low water requirement. The beautiful, soft foam jet offers a strong contrast to its environment.